Back in September I wrote a long-ish blog post about something that had bothered me for years and years about the canonical TPACK diagram. It had to do with how contextual knowledge was represented in the diagram, or rather how it was not represented in the diagram. As it happens, the editors of the Journal of Digital Learning in Teacher Education, believed that it would be good to present these ideas in the form of a guest editorial and I was more than happy to take them up on that offer—just found out today that it had been published. I would like to point out that editorials in JDLTE have played a significant role in the development of the TPACK framework. Back in 2007 Ann Thompson and I published a similar editorial announcing how what Matt and I had initially called TPCK would now be known as TPACK. One could argue that this name change – making the acronym actually pronounceable went a long way in making TPACK popular. (Note: JDLTE was known as Journal of Computing in Teacher Education back then.) Complete reference, link to pdf of article, and new image provided below. 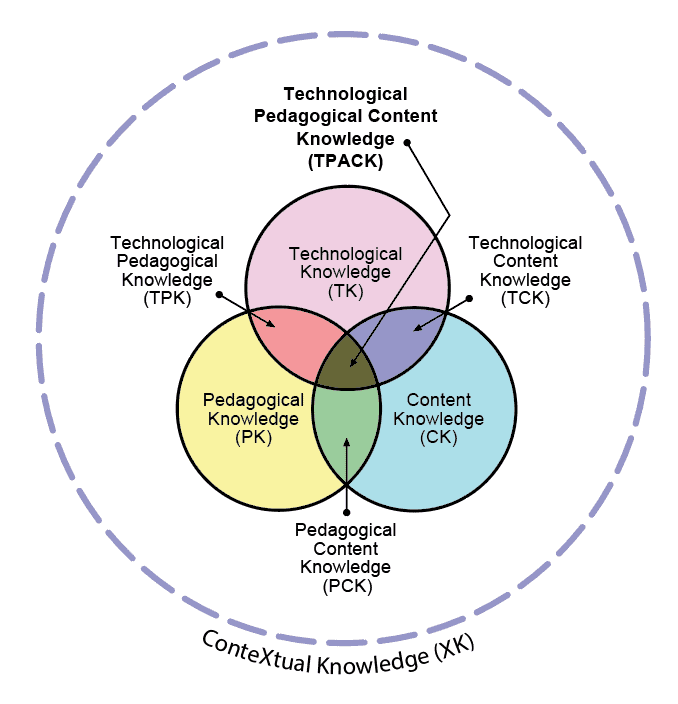 Mishra, P. (2019): Considering Contextual Knowledge: The TPACK Diagram Gets an Upgrade. Journal of Digital Learning in Teacher Education. The New & Improved TPACK model.